The Lichfield Festival offers such a rich selection of great performers, from many genres, that music enthusiasts might be forgiven for being overwhelmed by the range of unmissable concerts in its programme. 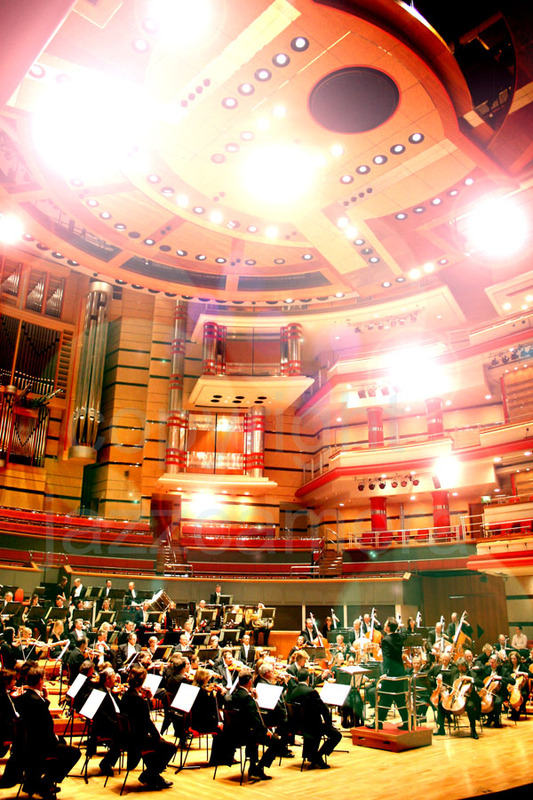 The emphasis has always been on great classical music, but the festival - held over nine days in July for 36 years in the Staffordshire city - also usually offers a strong selection of world and folk music, and occasionally jazz. The programme also features drama performances, talks and art exhibtions. 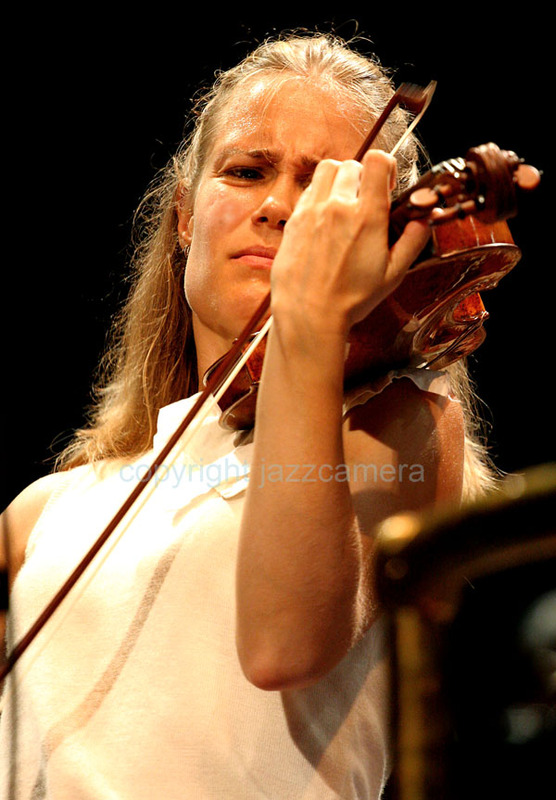 This year there were many very fine performances, and it was impossible to attend them all as some run simultaneously in different venues, but four concerts in particular stood out. 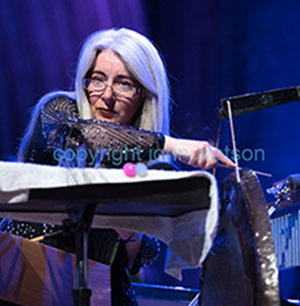 Percussion genius Evelyn Glennie, who performed in the city's Cathedral with piano accompaniment by Philip Smith, presented a programme strong on musical drama. 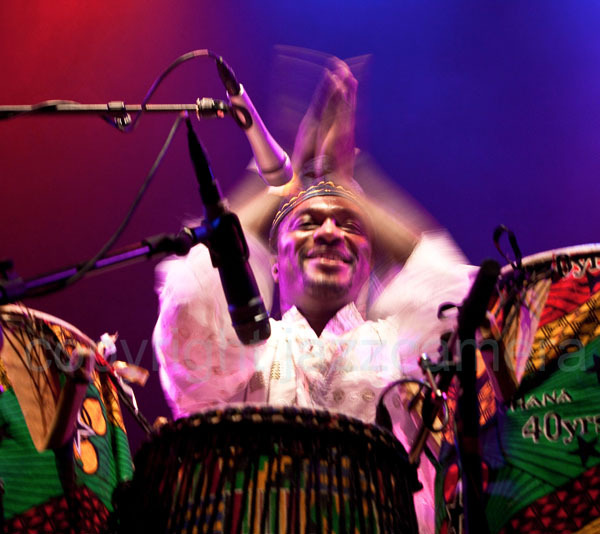 There were subtleties, too, but her dynamic display using a huge array of instruments - from marimba to vibes, cymbals, bells, blocks, kit drums and tam-tam - was quite breathtaking. 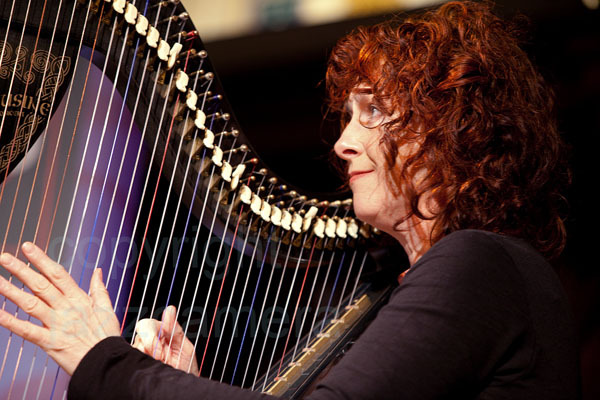 As most readers will know, Dame Evelyn conquered the afflication of profound deafness to fulfill her ambition of being a musician, using her acute sense of vibration to create inspired as well as techically immaculate performances. 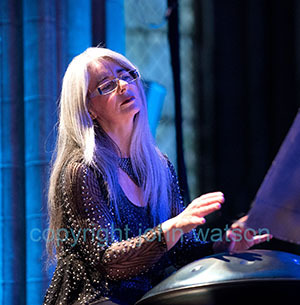 At Lichfield, her choice of works included (as so often) a gorgeous piece for marimba by the Japanese composer Keiko Abe, plus an extraordinarily clever interpretation of American minimalist composer Steve Reich's "Clapping Music". This last work is written for four hands, with slowly overlapping beats (and I've seen Reich expertly performing it in concert with a fellow musician). But Dame Evelyn performed it all by herself, using a foot pedal and sticks instead of hands. It was superb - and great fun. Away from the cathedral, there were many delights in the performance of young recorder virtuoso Tabea Debus in a lunchtime concert at Wade Street Church. Debus, a Meaker Fellow at the Royal Academy of Music, brought a collection of eight recorders, in different sizes and keys, for her performance with the excellent theorbo player Alex McCartney. The programme, structured to mark the 250th anniversary of the death of Georg Philipp Telemann, was a delight. I'm never quite convinced by the accuracy of the intonation of recorders in slow passages, even in expert hands, but the brisker movements were quite thrilling. Debus also presented premieres of some short original works, with Misha Mullov-Abbado's various on Telemann's "Fantasia per il flaut senza Basso No.10" absolutely outstanding, with Debus's hands fairly dancing across the tone holes. At the Lichfield Cathedral School, an afternoon performance by the ESTuudio noortekoor from Estonia also brought many thrills, and constant surprises. This youth choir (the singers are mainly in their twenties) covered a huge range of emotions, from sublimely peaceful to vocally volcanic. Most pieces were, of course, sung in Estonian - though the national composer Arvo Part's meditative "Morning Star" was sung in English, Part's choice for this work. The folk songs had great charm, too. Members of the choir (which was on a short tour of the UK) study at the Estonian Academy of Music and Theatre, the Heino Eller Tartu Music College, the Georg Ots Tallin Music School, and the University of Tartu. Frustratingly for the audience, which gave them a wildly enthusiastic reception, the choir had no CDs on sale, and I can't trace any available via the internet. The Lichfield concert, however, was recorded, so perhaps there is hope of more than an MP3 download from this choir in the future. Back in the cathedral, an evening concert on a candle-lit stage by the magnificent choir The Sixteen offered sublime music from start to finish. Founding conductor Harry Christophers brought 19 singers to this performance, and it was one of the finest I've heard from the ensemble. The programme blended the works of two composers deeply committed to the Roman Catholic Church: Poulenc in the 20th Century, and Palestrina from the 15th. The inner torment of Poulenc was beautifully evoked in "Salve Regina", "Quatre motets pour un temps de penitence", "Un Soir de neige" and "Agnus Dei" from the Mass in G. Palestina's more blissful works dominated the programme, with highlights including "Parce mihi Domine", "Peccatem me quotidie" and the Credo from "Missa L'Homme Arme". Just marvellous. 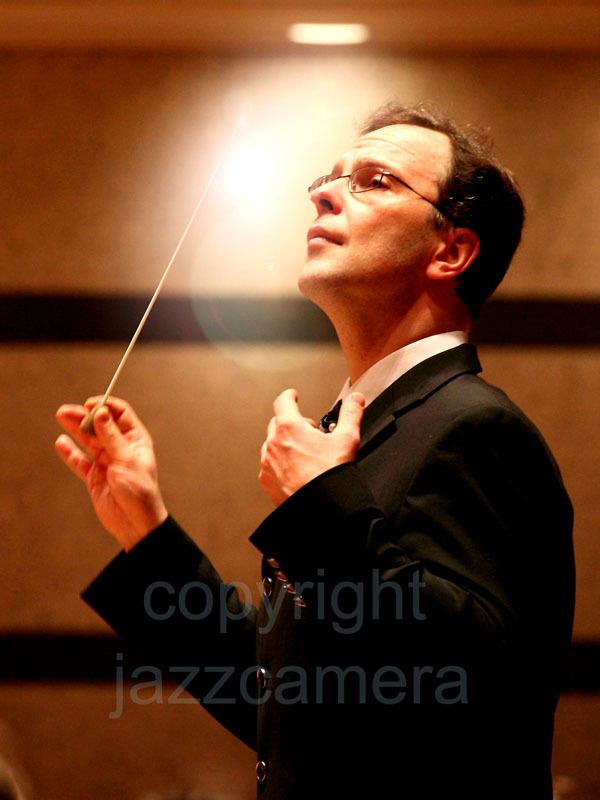 Those concerts were my personal highlights, but the festival featured, as always, some excellent orchestral performances. These included The Halle Orchestra under the baton of Ryan Wigglesworth (with American pianist truly dazzling in Rachmaninov's "Paganini Variations"); the Orchestra of the Swan with a programme of American music; a splendid show with Chetham's Concert Orchestra and singers celebrating the music of Richard Rodgers; and a celebration of film composers featuring the BBC Concert Orchestra. 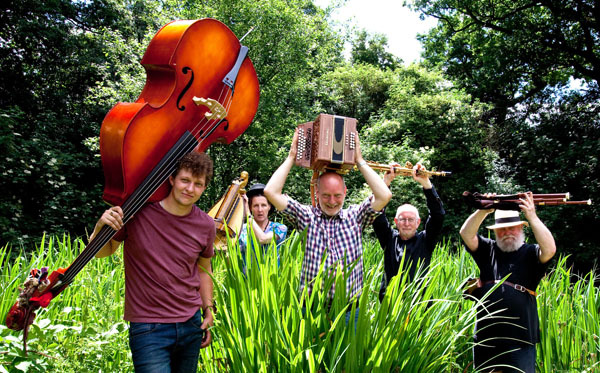 There was raw-edged folk from singer and instrumentalist Seth Lakeman with girl singers Wildwood Kin, and songs from many lands by the international vocal group The Swingles. 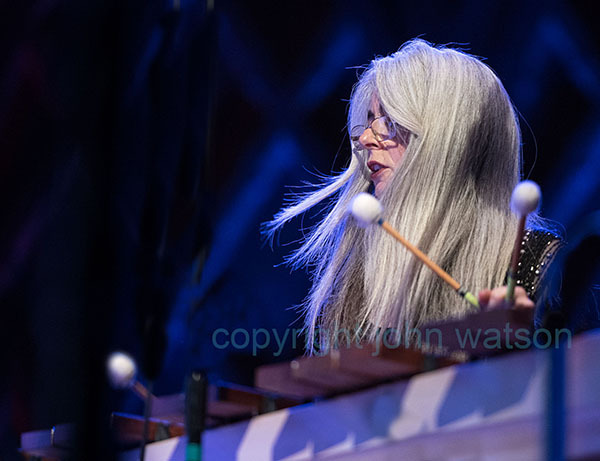 Above and below: Evelyn Glennie at the Lichfield Festival. 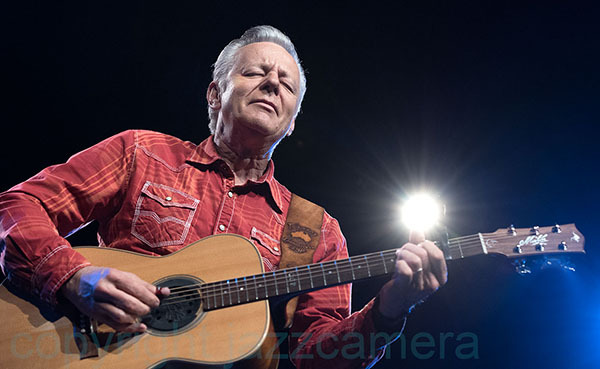 "Everybody in this room is a student," Australian guitar wizard Tommy Emmanuel told a crowd of more than 2,000 fans at Belgrade's huge Sava Centar concert hall. "Including me, of course." 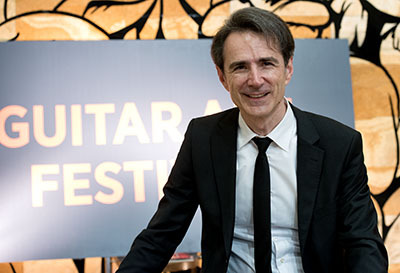 His dynamic performance was one of the highlights of the 2017 Guitar Art Festival in the Serbian capital. 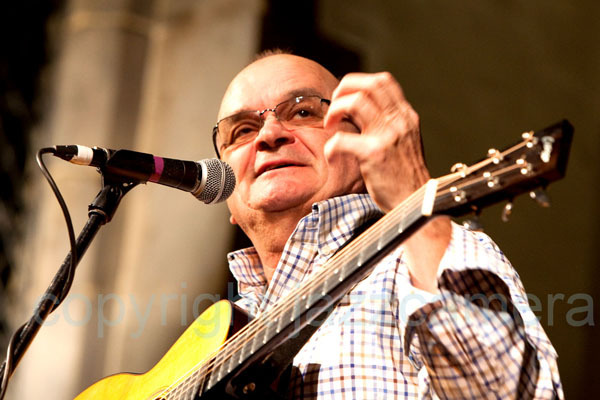 The master of fingerpicking guitar was one of many outstanding artists in the festival, founded and managed by Bosko Radojkovic, and which this year chose 'Integration' as the theme of a week of string studies, concerts, exhibitions and talks. 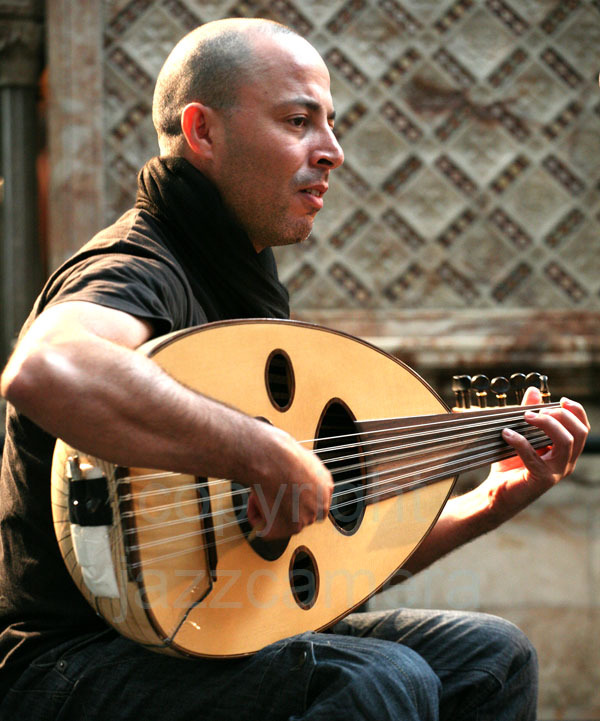 The festival had more than 150 participants from 20 countries, with the emphasis on classical guitar but also embracing flamenco, folk, blues and rock. Tommy Emmanuel's astonishing technical prowess is matched by tremendous energy, a determination to entertain, and the creation of a joyful approach to music. 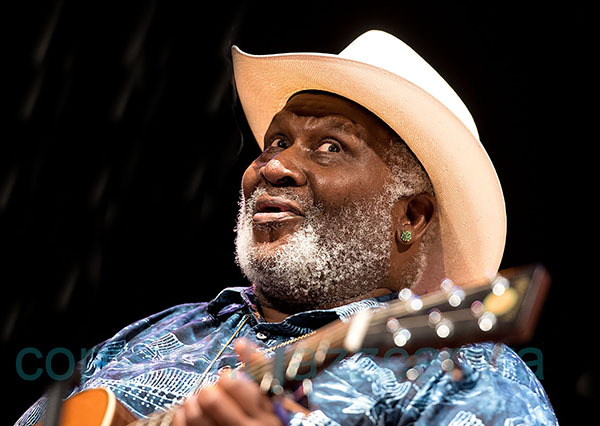 His concert covered many styles, from folk fingerpicking to down-home raunchy blues, ragtime and rock and roll. Young children squatted on each side of the stage as he performed, and the look of wonder on their faces was quite something to behold, especially when he demonstrated his "band" - that is, walking bass lines with the left thumb, snare-brush like strokes on the body of the instrument, and a dazzling mixture of rhythm chords and melodies. 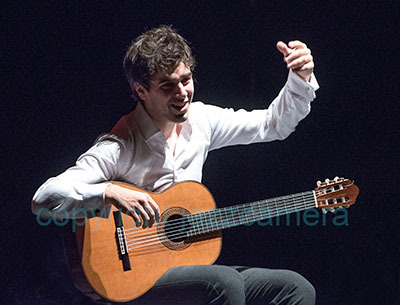 The final two days of the festival were held in the centre of the city at the excellent Dom Omladine concert hall, a smaller venue but quite well suited to solo classical guitar and other shows. On the Friday, Montenegran classical guitarist Rados Malidzan gave an impressive performance of works by Barrios, Coste, Regondi, Torroba, Paco de Lucia, Rodrigo and Alan Thomas. The last of these works, Evening Dance and Cradle Song, provided a stimulating contrast to the classics of the guitar repertoire, though my own personal favourite was de Lucia's Fuente y Caudal. 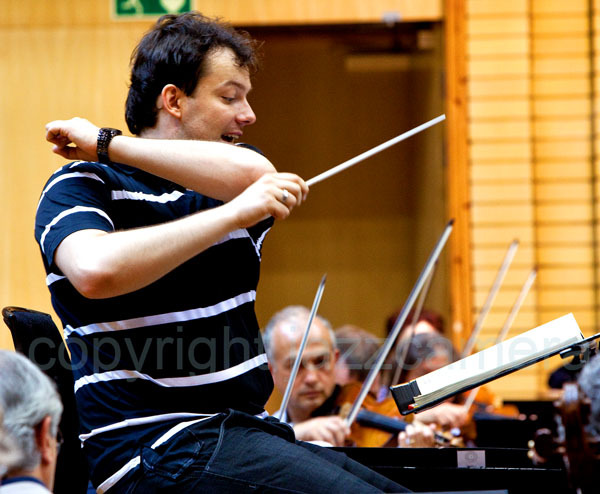 His performance was followed by mainly modern solo works convincingly interpreted by Slovenian-born Mak Grgic, now a resident of Los Angeles. Particularly striking was his performance of the microtonal piece Through The Fog, by composer Sean Hayward, the subtly retuned instrument creating dazzling textures of sound, as though seen through a prism. A fabulously dynamic show followed, with dancer Rosario Toledo demonstrating her expressive skills with the excellent group Ultra High Flamenco. 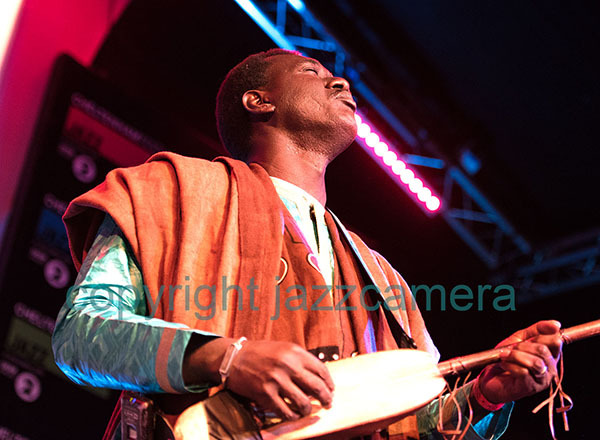 Competition between young guitarists has always been a key feature of the Guitar Art Festival, and after awards were presented on the final night to this year's winners the specially-assembled World Guitar Orchestra featuring the young performers in the festival took to the stage. 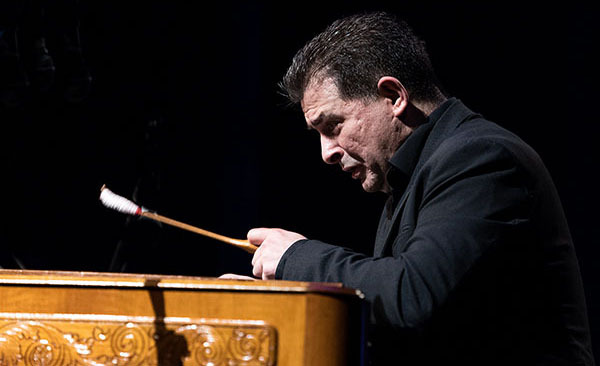 The 2017 event wrapped up in style with performances by the outstanding Italian soloist and composer Carlo Domeniconi and the six-piece group Guitar Integration: Grgic, Malidzan, plus Sanel Redzic, Darko Bageksi, Srdan Bulat and Nemenja Ostojic. tells the story behind a long-established get-together in an historic pub. 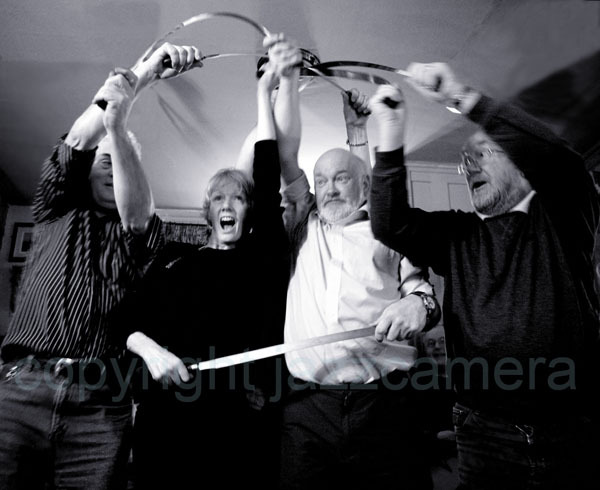 Rapper sword dancers at the Coopers Tavern folk session. In the backstreets of the English brewing town of Burton upon Trent, Staffordshire, tucked under the glistening steel fermentation towers of the former Inde Coope and Bass Breweries, sits a remarkable two-storey house - a pub of enormous character. The Coopers Tavern was built in the 19th century. When the brewery railways criss-crossed the streets of the town (as depicted in one of L S Lowry's oil paintings) the pub served malty ales, straight from the cask and barrel, and produced home-cooked food. It still does. What is often not mentioned in the glowing website comments on the pub is that the Coopers Tavern (a cooper being a barrel maker) is also home to a thriving folk session. Traditional music has been played here, in the front parlour, every Tuesday night since 1994. Musicians of all ages and levels of ability in traditional music find a welcome in the Coopers, from a beginner to a real 'pro'. And the beer has always been of exceptional quality, as has the hospitality. People drop in from many places and many backgrounds, and appreciate the session. The Coopers has hosted many parties, and has been stormed by "rapper" (traditional) dancers and even the occasional step-dancer. 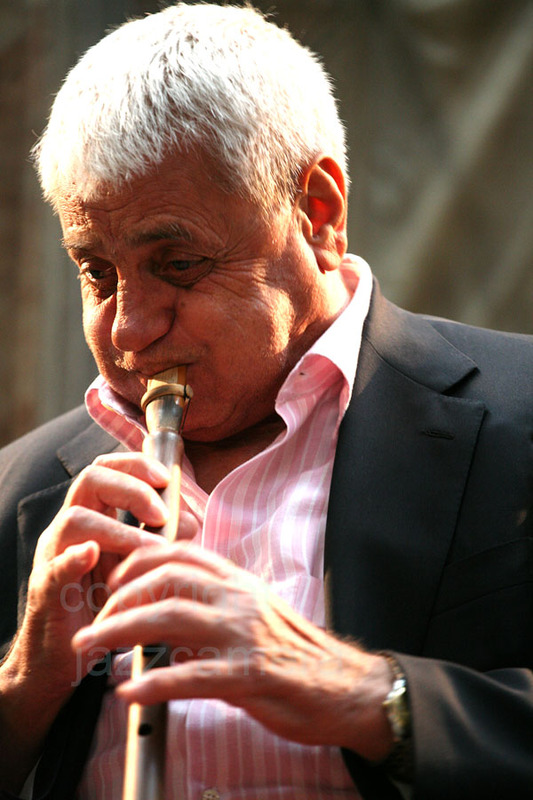 On some evenings there can be as few as four musiicans, and on others more than 20. I first visited the Coopers Tavern in the early 1980s when, as an architect working in the conservation and renewal of a nearby large grain warehouse, I got to meet local authority officers at lunchtime, for a chat and to enjoy some home-cooked food and a little real ale. The tiered seating at the end of the cask stillage racks fascinated me - there was, at the time, no bar, just a corner counter, etched glass screens and mirrors, and a chalk board with the week's beers marked up. In the following years I took the band I was playing with, Caperceilidh, and we were made to feel very welcome by the landlord and the locals. It was the next best thing to playing round the kitchen table in a traditional bothy - better, because you could put on a bit of performance. Around about 1992 I was enthusing about fiddle playing to Chris Foster, the international singer and songwriter, who was at the time Arts Offier at the Burton Brewhouse Arts Centre, just at the other side of the fermentation towers. 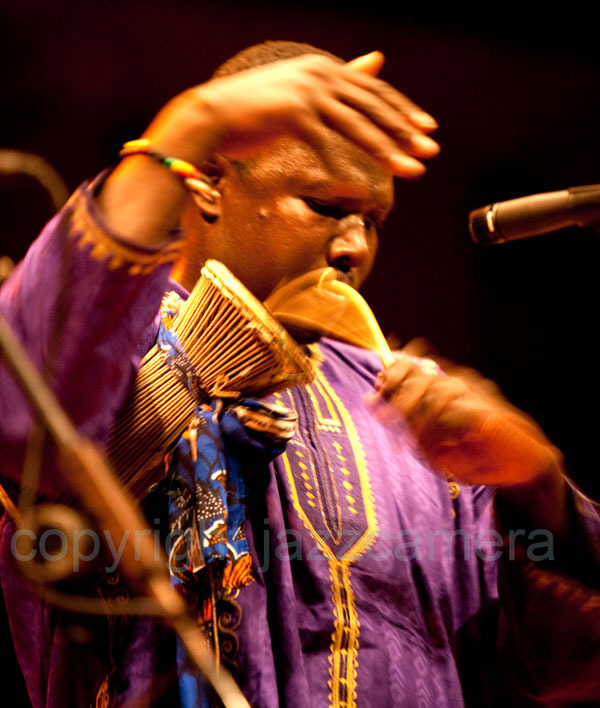 I was becoming conscious of a growing interest in traditional music style, as contrasted to the general ebb and flow of 'folk' music as a social medium for gatherings and entertainment. 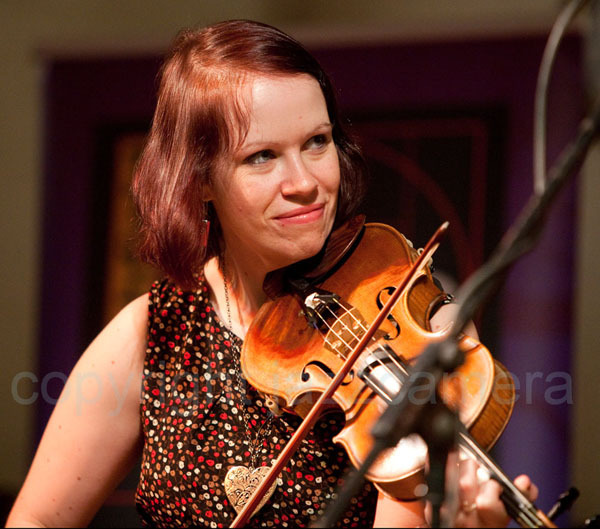 There was an interest in playing good traditional tunes and a growing interest in fiddle playing. So I put it to Chris that we run a season of lessons in fiddle music and playing techniques to get more people into the loop - beginners, and others who wanted to benefit from an expert hand. I had in mind my very good friend Geoff Bowen, from Ilkley, Yorkshire. Geoff was in the middle of work on a book that he had asked me to collaborate on: 'How To Play The Folk Fiddle'. 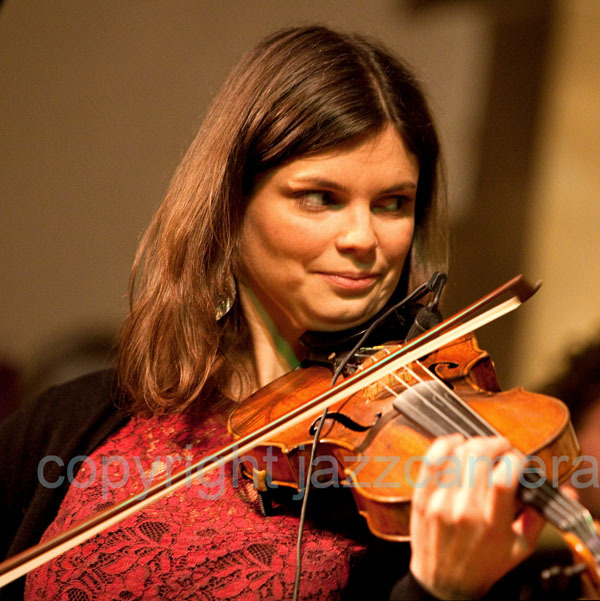 We had talked about this work during a morris dance tour of Sweden, and we subsequently travelled to France, Scotland, Shetland and Ireland as well as back to Sweden, where the fiddle playing tradition is almost hypnotic and very different from the styles of north-west Europe. 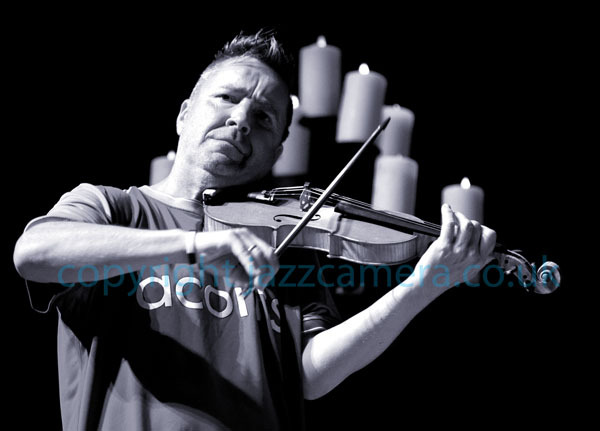 Geoff agreed to come down to Burton each week to give us all an inspired, gently methodical means of accessing and approaching the fiddle and its vast repertoire. The first season started in the Brewhouse in 1993. A few other musicians dropped by, but it didn't really gel. However, I remembered the Coopers Tavern just round the corner, to see if they would let us play there. The rest is history. Our next band, Apples In Winter, spent its formative years at the Coopers, using it as a testing ground for ideas, styles of playing, and combinations of instruments. Most importantly, we were having a brilliant time, sparking off each other and off the circle of players and listeners to produce good music, good vibes and sharing and enjoying the general banter. What is particularly pleasing to me is to see people grow their music, learning their listening skills and passing them on to others. I pay tribute to all the musicians, from the learners to the more experienced, who make this session so much greater than the sum of its parts. Keep coming, keep playing, drinking, laughing and learning. The Spectacular Bull Band, a UK group specialising in French folk music. Publicity shoot near Blithbury, Staffordshire.